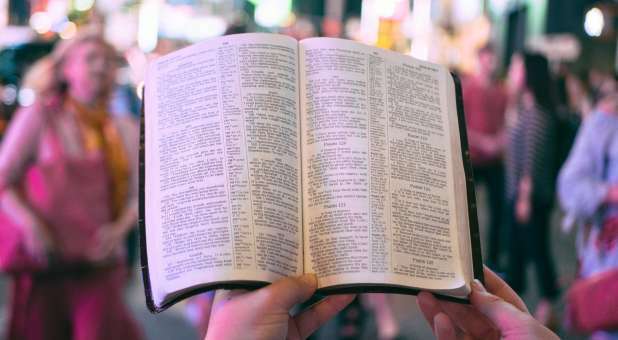 More Americans are expressing interest in increasing their interaction with the Bible, according to the annual "State of the Bible" research from American Bible Society. The 2018 report reveals a majority of Americans, 57 percent, declare they wish they used the Bible more. While 89 percent of those who are considered Bible Engaged desire to increase their Bible use, 70 percent of those considered Bible Neutral are also interested in greater time with the Bible. The findings of Americans' growing desire for more of the Bible are among a number of Bible stats recently released about Americans' beliefs and behaviors. Many Americans, 66 percent, are expressing some curiosity to know more about the Bible, including 29 percent who express a strong desire. And 63 percent say they are interested in knowing about who Jesus is, while 31 percent are strongly interested. "What we are seeing is a great appetite to read and understand the Bible," said Roy Peterson, president and CEO of American Bible Society. "American Bible Society invites those who are curious about the Bible to experience its narrative firsthand. From poverty to politics, the Bible addresses the whole of the human experience and can be life-changing for those who read it." When Americans were asked which frustrations they experienced when using the Bible, the most common response (26 percent) was lack of time; 23 percent reported not having any frustrations at all. When American do read the Bible, they feel peace (41 percent), hope (35 percent) and encouragement (33 percent). Only a small portion of Americans expressed negative emotions while reading the Bible: 16 percent said they were confused, and 13 percent said they were overwhelmed. Fifty-nine percent of adults said none of the unfavorable emotions provided described their experience (confused, overwhelmed, doubtful, judged, bored or discouraged). "State of the Bible" is an annual report on behaviors and beliefs about the Bible among U.S. adults. For more information about the latest "State of the Bible" research, visit StateoftheBible.org.